coverage of events particularly within exegetical works, both classical and modern. The paper also illustrates how early Muslims capitalised on knowledge of the political situation in later conquering these lands and bringing it within the Islamic realm as well as vindicating the authenticity of the Quran. Quran, Prophecy, Tafsir, Exegesis, Byzantium, Persia, Heraclius. Abu-Hayyan, M. (1999). Al-Bahr al-Muhit fi al-Tafsir. Beirut: Dar al-Fikr. Al-Alusi, S. (1994). Ruh al-Ma’ani fi Tafsir al-Qur’an al-Adheem wa l-Sab’ al- Mathani. Beirut: Dar al-Kotob al-Ilmiyah, Vol2. Al-Asbahani, Abu Naim (1986). Dalail an-Nubuwwa. Beirut: Dar An- Nafaes. Baynes, N. H. (1948). Byzantium: An Introduction to east Rome civilisation. Oxford: Clarendon Press. Conybeare, F. (1910). Antiochus Strategos' Account of the Sack of Jerusalem in A. D. 614. The English Historical Review, 25(99), 502-517. Dindorf, L.A. (1832). Chronicon paschale Al-Diyarbakri, Hussain (nd). Tarikh al-Khamis fi Ahwal Anfas al-Nafis. Beirut: Dar Sadir. Durant, Will (nd). Qissat al-Hadarah, Beirut: Dar el-Fikr. El Cheikh, Nadia Maria (1998). Sūrat Al-Rūm: A Study of the Exegetical Literature. Journal of the American Oriental Society, 118(3), 356-364. El Cheikh, Nadia Maria (1999). Muhammad and Heraclius; A Study in Legitimacy. Studio Istamica 89 (1999) 5-21. Haldon, J. F. (2009), Byzantium in the Seventh Century: The Transformation of a Culture. Cambridge: Cambridge University Press. Ibn Abi-Hatim, A. (1997), Tafsir al-Quran al-Azeem. Makkah: Maktabat al- Baz. Ibn al-‘Ibri, G. (1992) Tarikh mukhtasar al-Dowal (3rd Ed.). Beirut: Dar al- Mashriq. Ibn al-Arabi, (1997). A’ridhat al-Ahwathi bisharih Sahih al-Tirmidhi. Beirut: Dar al-Koutoub al-Ilmiya. Vol6. Ibn Ashour, Muhammad (1984). Al-Tahrir wal-Tanwir. Tunus: al-Dar al- Tunisyah Lil-Nashir. Ibn Kathir, I. (2000). Tafsir Ibn Kathir (English Abridged) supervised abridging by S. Al-Mubarakphuri, Riyadh: Darussalam. Vol7. Ibn Kathir, I. (1994) Tafsir al-Qur’an al-Atheem. Riyadh: Dar al-Salam. Ibn Khaldun (1999). History of Ibn Khaldun. Beirut: Dar Ehia al-Tourath al-Arabi. Ibn Manzur, (1999). Lisan al-Arab. Beirut: Dar Ehia al-Tourath al-Arabi. Ibn Manzur, (nd.) Mukhtasar Tarikh Demashq. Beirut: Dar el-Fikr, Vol1. Ibn Saad, Muhammad (1968). Al-Tabaqat al-Kubra. Beirut: Dar Sadir. Jenkins, Romilly (1966). Byzantium: the Imperial centuries AD 610-1071. London: Weidenfield and Nicolson. Kaegi, W. E. (1992). Byzantium and the early Islamic conquests. Cambridge: Cambridge University Press. Khan, Z. I. (1992). Ancient History of Palestine 1220 BC - 1395 CE, from the first Jewish invasion to the last crusade (6th ed.). Beirut: Dar al-Nafaei. Lowden, J. (1997). Early Christian and Byzantine Art. London: Phaido press ltd.
McColl, R. W. (2005). Encyclopedia of world geography. New York: Checkmark Books/Facts On File. Al-Mubarakfuri, S. (1998). al-Raheeq al-Makhtoom. Riyadh: Dar al-Salam. Al-Nabulsi, M. (2014). Mawsu‘at al-I‘jaaz al-‘Ilmi fi al-Quran wal-Sunnah. Amman: Muasasat al-Fursan. Ostrogorsky, G. (1956). History of Byzantine State (3rd Ed.). Oxford: Basil Blackwell. Al-Qatan, M. (2000). Mabahith fee Ulum al-Qur’an. Cairo: Maktabat Wahba. Al-Qurtubi, M. (1998). Al-Jami li ahkam al-Qur’an. Beirut: Dar el-Fikr. Vol7. Qutub, S. (1981). Fi Zilal al-Qur’an (10th Ed.). Cairo: Dar al-Shurouq. Vol5. Al-Razi, A. (1990). Al-Tafser al-Kabeer: Mafateeh al-Gaib. Beirut: Dar Ihya al-Turath al-Arabi. Al-Rehaili, Abdullah (1998). This is the Truth - Newly Discovered Scientific Facts Revealed in Qur'an and Authentic Hadith. Riyadh: Al-Haramain Islamic Foundation. Shahid, Irfan (2009). Byzantium and the Arabs in the Sixth Century. Washington: Dumbarton Oaks. Vol2. Shboul, Ahmad (1999). Arab Islamic Perceptions of Byzantine Religion and Culture in Muslim Perceptions of Other Religions (J. D. Waardenburg, Ed.). Oxford: Oxford University Press. Al-Suyuti, (2002). Libab al-Nuqwl fee Asbab al-Nozool. Beirut: Mu’asasat al-Kutub al-Thaqafiyah. Al-Suyuti, (nd). Al-Itqan fee Ulum al-Qur’an cited in Al-Qatan, M. (2000). Mabahith fee Ulum al-Qur’an. Cairo: Maktabat Wahba. Al-Tabari, M. (1967). Tarikh al-Tabari. Cairo: Dar al-Maarif. Vol2. Al-Tabari, M. (nd). Tarikh al-Tabari. Beirut: Dar el-Fikr. Vol2. Al-Tabari, M. (1999). Tafsir al-Tabari. Beirut: Dar al-Kotob al-Ilmiyah. Al-Tabrasi, al-Fadl (2006). Majma‘ al-Bayan fi tafsir al-Quran. Beirut: Dar al-Murtada. Veyonis, S. (1967). Byzantium and Europe. London: Thames and Huson. Al-Wahidi, A. (also known as al-Naysabouri) (1998). Asbab al-Nozool. Cairo: Dar al-Hadith. Whitby, Mary, Whitby, Michael. (1989). Chronicon Paschale 284-628 AD. Liverpool: Liverpool University Press. Al-Zindani, (nd). Innahu al-Haq. np. Al-Zuhaili, W. (2001). Al-Tafseer al-Waseet. Damascus: Dar el-Fikr. Vol3. Al-Zuhri, M. (1988). Al-Nasikh walmansookh. Beirut: Mu’assasat al-Rislah. ISNAD EL-AWAISI, Khalid . "THE QURANIC PROPHECY OF THE DEFEAT AND VICTORY OF THE BYZANTINES". 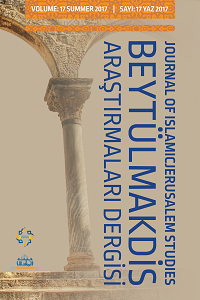 Journal of Islamicjerusalem Studies 15 / (August 2015): -.